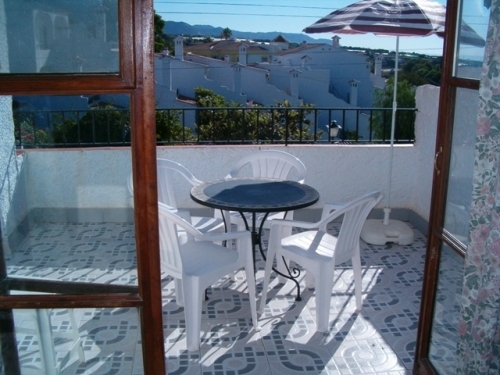 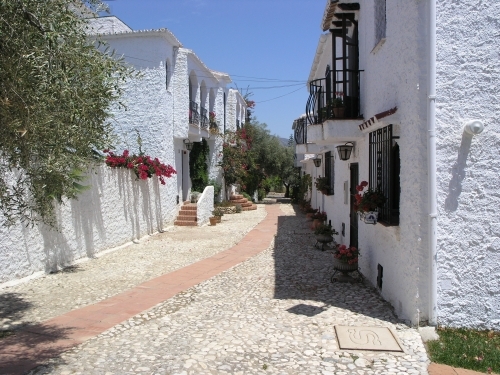 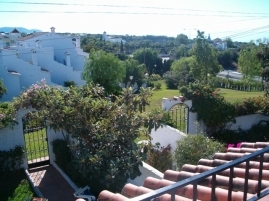 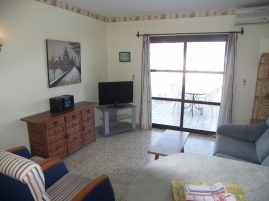 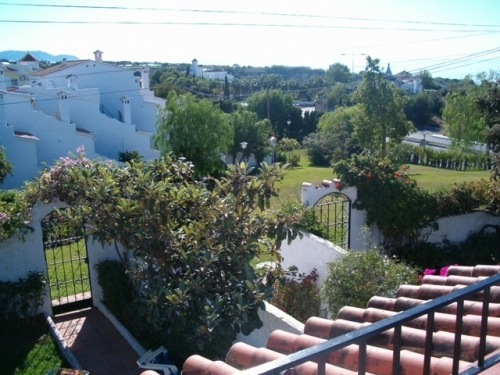 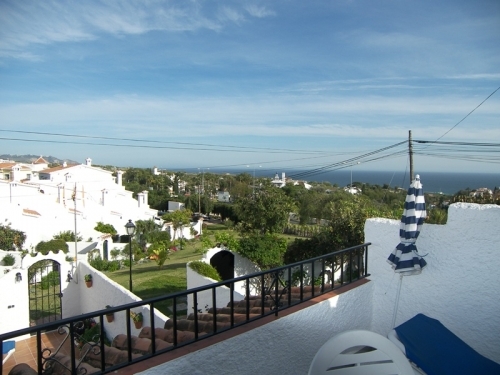 Casa Alex is a two bedroom apartment with private terrace, situated in the Pueblo area of El Capistrano Village. 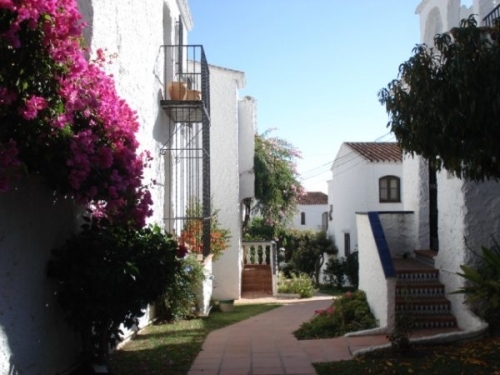 It has use of the two large communal swimming pools, plus toddler pools, and the lovely gardens of the traffic-free interior of Capistrano Village. 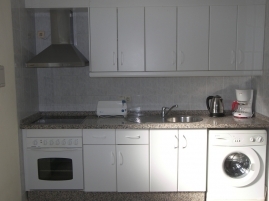 The apartment comprises an open-plan living and dining area, with an archway and breakfast bar to the kitchen. 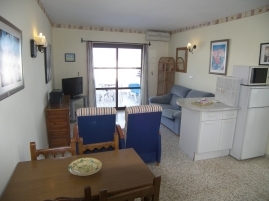 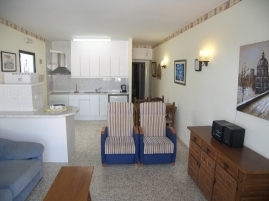 The kitchen is well-equipped with oven, hob, fridge-freezer, microwave and washing machine. 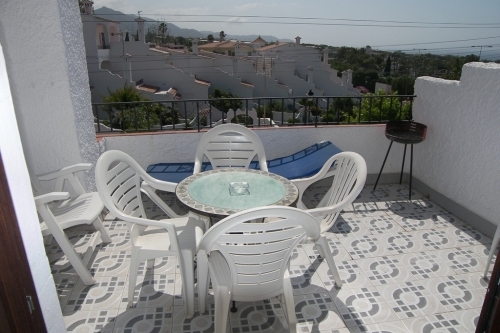 The living and dining area has seating for 4 people and from here you have access to the private sun terrace with sea views. This is equipped with table and chairs, and sun loungers, and is the perfect place to sit outside and enjoy the cool evening breeze with a glass of Spanish wine. 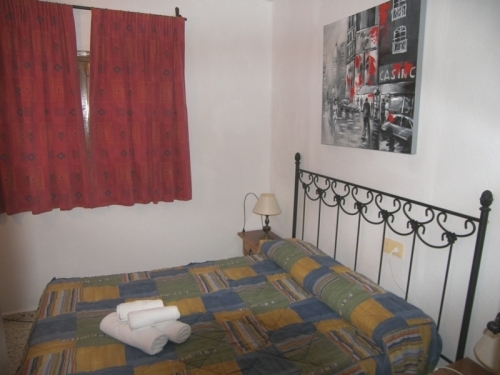 There are two bedrooms, one with a double bed and one with twin beds. 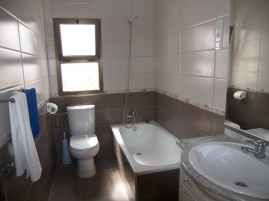 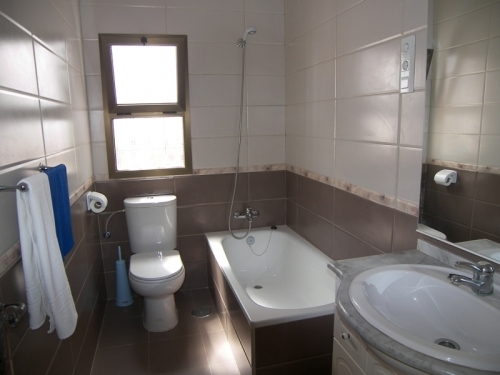 There is a family bathroom with bath and overhead shower, as well as a separate WC. The apartment has air-conditioning and free Wifi internet.